The fallout from the worst season in UNLV basketball history continued Wednesday when the school announced that guards Jalen Poyser and Zion Morgan and forward Troy Baxter Jr. all would be transferring. The 6-foot-4 Poyser was one of four players to average in double figures (10.4) for the Runnin’ Rebels and started 21 games in his sophomore season. Ranked a four-star recruit and the No. 1 prospect in Canada as a senior at Orangeville Prep in Mono, Ontario, Canada, Poyser scored 20 or more points in three of the team’s first eight games and had 22 points and nine assists in a 71-61 victory over Western Kentucky on Nov. 26. But Poyser saw his minutes dwindle as the 11-21 season progressed while enduring a shooting slump that saw him connect on just seven of his final 49 3-point attempts (14.2 percent). The 6-8 Baxter, ranked a four-star recruit out of Oldsmar Christian High School in Oldsmar, Fla., was considered the top freshman prospect in Menzies’ first signing class last spring after getting his release from a national letter of intent to South Florida. But he averaged just 4.3 points and 2.3 rebounds during an injury-plagued season that saw him play in just 23 games, none of them starts. The 6-foot-5 Morgan, a Rivals.com three-star prospect from Kenwood Academy in Chicago, averaged 2.8 points and 1.3 rebounds as a freshman and started five games, becoming a fan favorite for his tenacious defense. 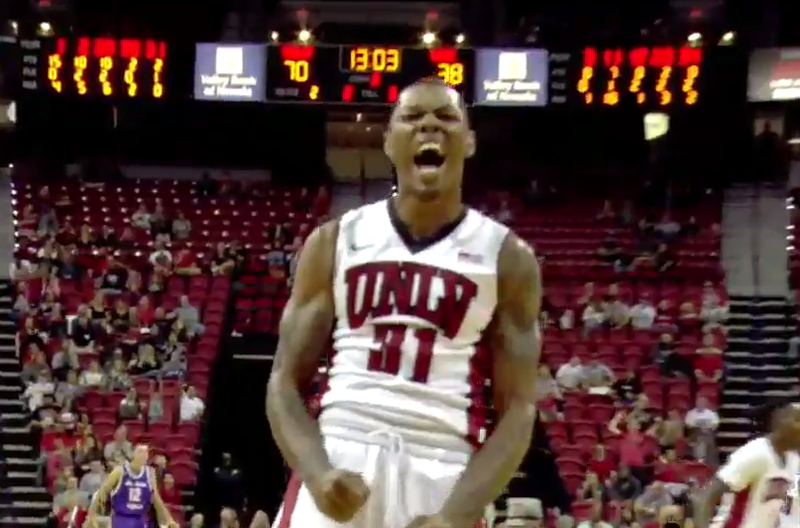 Poyser’s departure along with the graduations of forwards Tyrell Green (11.7) and Christian Jones (10.6) means UNLV will have just one player returning who averaged in double-digits this season, guard Jovan Mooring (12.6).